Being on the road (in its positive sense) is a nice feeling. While in the U.S. between 1986-1991, we went often. Some long trips, and some short. Driving was fun, mostly, and roads excellent. But in India too, we have been on some-with a driver in a couple of cases. While living in Harihar, we went to Colva beach at Goa regularly, driving there via Hubli-Karwar, a very nice road at the time. 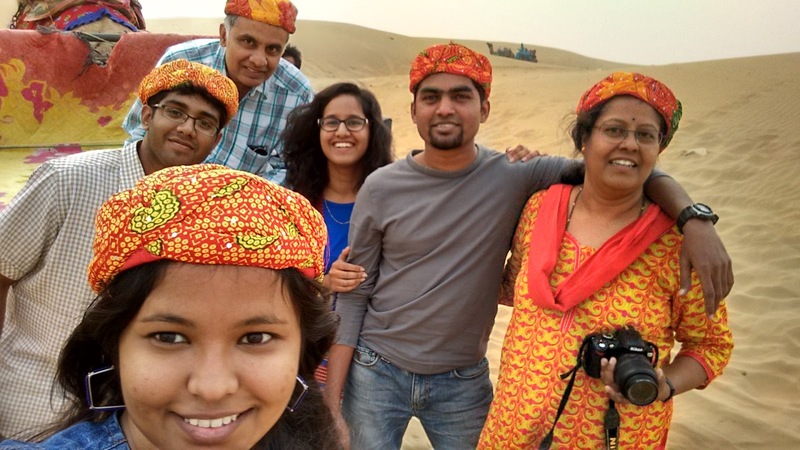 Recently, we went to Jaisalmer via Chittorgarh and Udaipur, and also stopped over at Jodhpur's Mehrangarh fort. Belur-Halebid, Jog Falls, and Hampi were some other memorable trips from Harihar. Ooty-Coonoor with some IIM buddies was another recent one, and a couple of Golfing trips with friends from IMT Nagpur, to Munnar and Kodaikanal were good ones. Bryce Canyon, U.S. with my parents (above). Mysore, with German students and faculty from Lubeck (below). Yellowstone National Park, with parents.